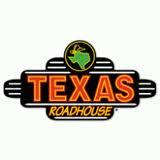 An American restaurant chain, Texas Roadhouse, specializes in serving tasty steaks. Their headquarter is located at Louisville in Kentucky. Initially, the restaurant was inaugurated in 1993, in the region of Clarksville, Indiana. Kent Taylor is the founder of the restaurant. After divorcing his wife in 1990, Kent started to devote his time as the manager of Kentucky Fried Chicken. Presently, the chain operates various restaurants in over three hundred and twenty locations across forty-six states. They are famous for serving buckets of free peanuts at every table throughout all the restaurants under the chain. They have even constructed a slogan for their restaurant chain, which is "Legendary Food, Legendary Service". There are currently 31 consumer reviews about Texas Roadhouse available. Share your review. My family (4) stopped in for a late supper at the Coralville, Iowa location after visiting a friend at the U of I Hospital on our way home to Cedar Rapids. We were seated promptly in a booth next to the bar area/kitchen entrance. It was around 8pm and the restaurant was less than half full and the atmosphere was peaceful. As we sat there in the booth we got involved in watching and participating as a family in the TV program (Million Second Quiz) that was on channel 7 (NBC) on the TV closest to our booth (within 8-10 feet away). It was nice to be able to watch this program with my family instead of always not having a choice but to watch sports programming as everyone in my family doesn’t care for sports. So as we watched the show and the drinks and rolls were brought to our table. After we were there for about 10-15 minutes a couple (early 20’s, guy & girl) sat behind us and the guy asked to turn the channel on the TV that we were watching to ESPN Monday night football. One of the waitresses changed the channel from the program we were watching to ESPN, which at that time there were 2 other TV’s that had the game on that was viewable from that couples table. So once the channel was changed we sat in disbelief and called over a waiter to see if he could turn it back to the program that we were watching before the couple even arrived. He went away and didn’t come back so I asked the lady behind the bar if she could turn the channel back to what we were watching. Her response was that she couldn’t turn it back because there was sports on at that time (MNF, there was 3 minutes left in the 2nd quarter, the game didn’t just start, it had started at 6:10pm and had been on for a while) and that all TV’s needed to have the game on. I told her that we were just watching the other program and the couple behind us just asked to turn the channel…… she said sorry that’s our policy to have all TV’s on sports programming. As a looked around at the other TV’s I seen 2 other TV’s that had other programming on besides the MNF game, I asked her what about those TV’s….. she said I need to turn those to MNF as well and she did. We then asked for a manager to come over to discuss our concern. The manager on duty came over and we told her calmly what had happened and asked if she could turn the channel back. She said, sorry they can’t turn the channel back, it has to be on the sports channel as that’s what the Texas Roadhouse atmosphere is set to be. I asked if having sports on was part of the TV contract between Texas Roadhouse and the Tv provider (Direct TV) and she said “no”. We expressed to her that by turning the channel and then for us asking to turn it back and getting this run around was pretty rude. It’s just like walking into your own living room at home and taking the remote and turning the TV to something different than what the rest of the family is watching…. Really? So jeopardizing customer service as well as now not getting a return customer, us spending close to $60 for our meal and now letting other families know how ridiculous the so called TV viewing policy at least at the Coralville, Iowa Texas Roadhouse location. Hope it was worth it to have all 5-6 TV’s on MNF to only have at maximum 10 people watching it sitting in the bar area to now loose a customer that will now tell others of this experience. All that had to be done to pacify us as a customer was to turn the channel back and it would have been a very pleasurable experience, but I guess serving customers aren’t a first priority. Feel free to respond as I would like to know if this is a true policy and your thoughts of our experience. I just ate at the Texas Roadhouse in West Bend, WI with my husband's family. While eating my salad, a live bug crawled out over the side of the plate. I jumped up, my husband grabbed the bug with his fingers and said to go get someone. I reported it and while the server and manager came over and apologized, they asked if I wanted another salad which I rejected. The manager offered me another "side" in place of the salad and informed me that additional side would be free....REALLY? The meal comes with 2 sides to begin with and my salad was ruined so it was nothing free. The manager was not going to comp me anything according to the server and the server asked for a few dollars off my bill for me because she was even grossed out over the incident. When I received my bill, I got a whopping $6.06 off a $76 dollar check, which they called a 10% discount. Last I checked $6 is not even 10% off $76. I wish I had taken a pic of the bug, but everything happened so fast and the manager took the bug away before I could think clearly. Just came from Texasroad in Downingtown, PA. Just endured a racial incident with the Manager Andy Vinokur there. I was eating there with my husband who is African-american. There was an African-american couple next and across from me, a white couple on the other side of me and another white couple two booths from me. The manager came into my area and made a face when he noticed all the minorities in my section, he then proceeded to the only two white couples booths to ask them "how their dinner was" and then walked away, I told my husband that he had made a face and that he did not ask me or my husband or any of the other minority couples in my area (3 different couples)"if we like our dinners". I felt very insulted and wanted to say something to him but I did not want to make a scene and cause anyone any discomfort due to he's behavior. It made me sad to think that I could never go there again and feel comfortable, their food is great but after that incident my husband won't eat there again. SO IF YOU ARE NOT WHITE, GOOD LUCK TO YOU!!!!!! I have worked at Texas Roadhouse for quite a few years now and I just want to say I've had a blast! A lot of changes have taken place lately that are HORRIBLE! No gratuity can be added to partys 8 or more! (People in our area are very sorry tippers anyways) Who wants a party now? NOBODY!?!? Tip out takes a lot of money out of ones pockets. A lot of our good people are quitting due to sorry changes that are taking place. TAKE CARE OF YOUR EMPLOYEES IN RETURN THEY TAKE CARE OF GUEST! Shame on you and your treatment of the kid in the wheelchair in Davenport,IA!! This rating doesn't deserve even one star. I saw on a friends Facebook today that a family at the Davenport, IA restaurant wasn't permitted seating because they had a handicapped son and were told "they couldn't accommodate a wheelchair and would have to wait". After waiting over an hour and watching other families get seated, the father got upset with the hostess for the neglect and was kicked out of the restaurant. What kind of establishment would put additional hardships on a family? Please show your support for children with handicaps by never eating at a Texas Roadhouse again. Shame on you..... I will not eat at your Davenport Location again. It's discriminating and discussing To be do nasty to anyone on a wheel chair . Our Community is outraged and demand and explanation and Apology to the family for the horrible treatment.